Award season is here and women everywhere are watching the red carpet to get inspiration for their own style. 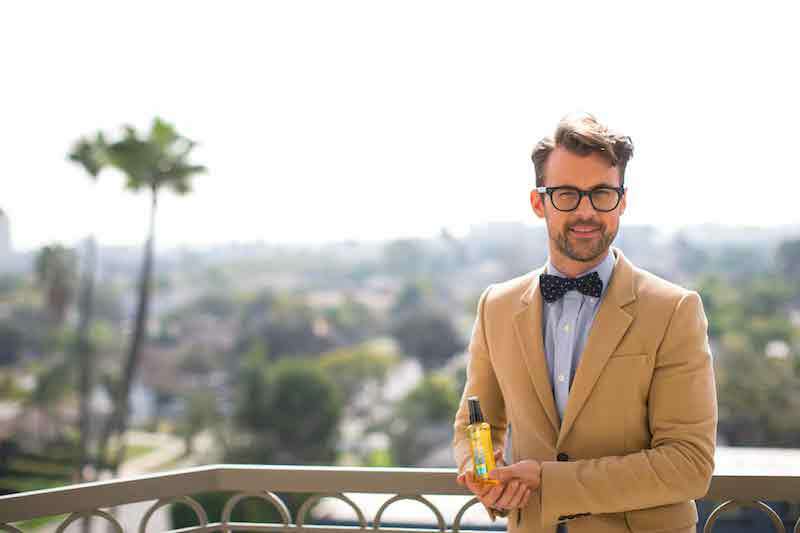 Suave Professionals® Body Care is teaming up with celebrity stylist Brad Goreski to show women how to achieve beautifully silky, radiant skin with new Suave Professionals® Moroccan Infusion Body Care. Suave Professionals® Moroccan Infusion features authentic argan oil from Morocco, a lightweight miracle oil known to be rich in nutrients and antioxidants. The new premium range leaves skin looking and feeling beautifully silky and radiant and is clinically proven to moisturize as well as Moroccanoil®1. With a light, luxurious fragrance, these products create beautifully silky, radiant skin, on the red carpet and off. Two (2) lucky readers will receive a set of the new Suave Professionals Moroccan Infusion Body Care Collection – one 18oz Body Lotion and one Dry Body Oil Spray!! No I do not use Suave Professionals or Moroccan Oil but I would love to try it. 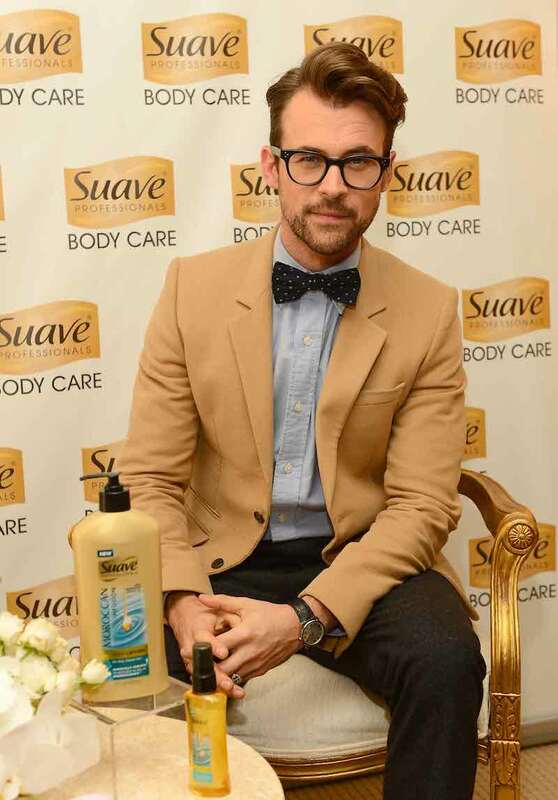 I do use Suave Professionals and I love it! I actually do use Suave Professionals and I enjoy it immensely. I don’t use the products but I do love brad! I do love Suave Professionals, and I have been using Moroccan Oil (a different brand) and love it, so I would really like to check out Suave’s. Thank you for the wonderful giveaway. I don’t use the products but I’d love to try! Ive used Moroccan oil before, but not this brand. I’ve tried the shampoo, but not the other stuff yet. I haven’t tried any of these products as of yet. I do not use suave professionals but i would try them. Brad is a little creepy to me. All I buy is Suave Products. I love their shampoos conditioners and body wash. I use the Moroccan Oil conditioner from Suave! I haven’t tried these Suave products yet but I have tried Suave regular shampoo and conditioner. I have never tried this brand but I would really love to. This prize would be for my granddaughter who just had a baby and needs to get her hair back under control. I have not tried these products yet but they look very nice. I use Moroccan Oil in my hair. I use Suave Professionals. Thanks for the chance. I’ve not tried this line of Suave products. The Dry Body Oil Spray sounds interesting. Thanks. I used Suave Morrocon oil shampoo and I really like it! I do use suave but I don’t think Brad is my type. I use Suave professionals. I love the scent. I just bought Suave professionals 2 weeks ago and I love it. Brad is fantastic! i like the suave professionals conditioner. I really like the Moroccan styling oil and shampoo and conditioner-they smell divine! I don’t use it yet, and yes Brad is adorable. I don’t use Suave Professionals or Moroccan Oi, but I do use their basic shampoos and love them, Brad too! I have yet to try any of these products. I use the moroccan oil shampoo. yes suave professionals two in one pump! I have used some suave professionals products (with keratin), but I have not used Moroccan Oil yet. 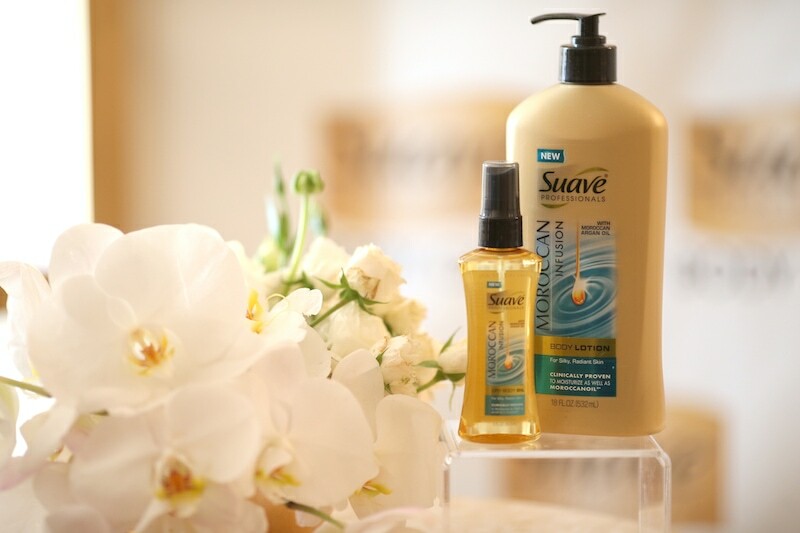 I am itching to try the new Suave Professionals products with Moroccan Oil! I don’t use Suave Professionals (yet), but I do love Morroccan Oil. I use Suave Professionals and have not tried Moroccan Oil yet. I don’t use them but would love to try. I’ve never used them, but I’d love to give them a try! I don’t use these products but I have wanted to try them!! I haven’t tried the Moroccan Infusion line from Suave, but I definitely need to do something about my skin- it’s getting drier and drier! Brad is a cutey. I actually haven’t tried it but would love to! I do use the Suave argan oil products every day. They work well and smell great. I have not used Suave Professionals or Moroccan Oil yet. I would love to try it though. I do love celebrity stylist Brad Goreski. His hair is the best! i have used sauve shampoo and other sauve products before but not the sauve macaroon. I do use Moroccan oil. It really helps control my hair. I haven’t tried these Suave products before! I haven’t tried them yet but would love to! I have tried their hair care products with argan oil and think they are wonderful! Brad is wonderful too! I’ve never tried it. I love Brad!! I have not tried them yet and yes I wish I had Brad at my house! I haven’t tried any of these products yet but would like to. Haven’t tried any of them. Will enjoy trying them when I win. i like suave professionals but i haven’t tried the moroccan oil yet. I use Moroccan Oil and I love Brad! I have never tried it before but I would love to. I have never tried them and Brad seems like a pretty good guy.Thanks! I do not use the Moroccan oil, but I would love to try it!